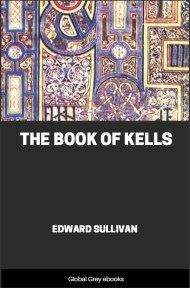 This book looks at the extensive literature on survivals of pre-Christian beliefs in the Celtic area. Covering customs from Ireland, Scotland, the Isle of Man, Cornwall and Brittany; topics include the evil eye, geis (taboos), doppelgangers, beliefs relating to animals and shape-shifting, lustration, second-sight, and healing rituals. SURVIVALS may be defined as primitive rites believed and practised, rites which once were 'faith' but which from a later and higher conception simply 'remain over' or survive. A survival may remain over both as 'belief' and as 'rite'; in either case it is the equivalent of the Latin 'superstitio.' But the English 'superstition' is too bare a term for it. For a belief or ritual custom once existed as a living force ere it sank into the position of a survival. A survival is what has been left stranded while all around it there has been more or less of change, of development, due to the growth of thoughtfulness and to the action of environment and of historical forces. What has once become a survival, if it have a future, has only a future of decay: its life now is in decay, it has no development as a whole. But manifestly in a social organism there are different rates of progress. Not all parts of the life of a social system develop at the same time, at the same rate, or in the same way. Nor is there the same continuous development over the same period of time. Accordingly there are strata of belief and ritual in any and every social system, in the most recent as in the most archaic. It is well to examine those archaic survivals one knows best; to endeavour to reduce them in an unpretentious way to some system from the point of view of a comparative study of man. Presupposed is the unity of mankind, i.e. of man as a thinking and moral being. Consequently, while this study is, on the whole, confined to customs among the Celts, I feel at liberty to read these in the light of analogous customs where possible. I do not know that in origin they are all Celtic. Ere the Celtic migrations these islands were inhabited by other tribes whose beliefs were most probably preserved among the Celts. 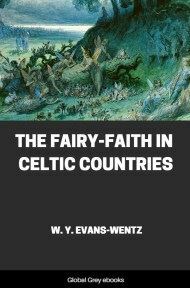 It is not likely that Celtic and non-Celtic tribes would have at the same period the same beliefs and practices, which might be accounted for by both having been on a different plane of development. It would be most instructive and interesting to assign to each tribe its own special belief and rite: in part that is attempted by the folk-lorist. Here it is no mere collection of beliefs or of rites that is aimed at, but the interpretation of these in the light of the 'soul.' At first, I believe that the non-Celtic tribes preserved their own belief and ritual for the reason that they were not admitted to full legal status among the Celts. 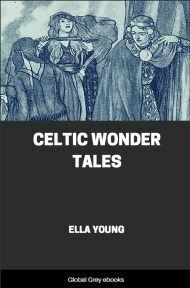 Yet the Celtic tuath or tribe and the Celtic fine or clan were incorporating organisms, and through inter-marriages new and alien customs were introduced and preserved, especially among the mothers. The Pictish matriarchal system is of special importance. In the light of 'mother-right' and all that inheres therein one may perhaps read such traces as may be found of the couvade and of the aire chlaidh, 'kirkyard watch' or 'grave guardian,' of which anon. 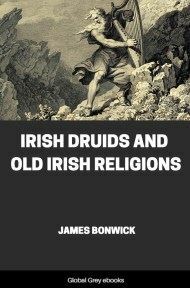 A psychical anthropology of the Celts is much wanted; but that of any single branch is best read in the light of the rest, indeed of comparative religion. What Edmund Spenser said of the 'wild Irish,' of whom he wrote in 1595 in his View of the State of Ireland, is equally true of the Highlands: "All the customs of the Irish, which I have often noted and compared with what I have read, would minister occasion of a most ample discourse of the original of them, and the antiquity of that people, which in truth I think to be more ancient than most that I know in this end of the world: so as if it were taken in the handling of some man of sound judgement and plentiful reading, it would be most pleasant and profitable." In this search, which is of great intricacy and excessive delicacy, as treating of belief-complexes which really reflect soul-movements, it is only by some understanding of the whole that one may interpret the part. Some curious rites, which in undertones I learned of long ago in the Highlands, came down through the native midwives, a breed that is now extinct in so far as the old rites are concerned: it was the thought of understanding these in the light of the whole that first led me to make this attempt. 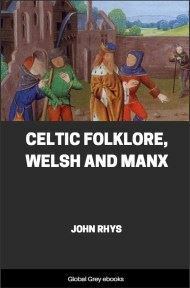 I make no doubt but the distinction of rites between the Celtic and non-Celtic tribes was once as firm as the distinction between tribesman and non-tribesman, which Mr. Seebohm has shown to be an important feature of Celtic law. A help in the solution of the problems of Celtic psychical anthropology would be to classify all customs, beliefs and rites which have the same conceptions of life. The mythic influence of the conquered tribes ought not to be forgotten. But it needs consideration likewise that tribes now united into a nation may formerly have held customs quite different from what they do now. The common Gadhelic sayings: 'it is mother-affinity (friendship) that is nearest'; 'I will not say brother save to the son that my mother bore,' point back to the Pictish social system, according to which descent was reckoned in the female line. This, it has been argued, is a feature which the Picts owed to non-Aryan predecessors. But may not a race in the course of its long history be led to change its customs from within? Wherever we meet with descent reckoned in the female line, are we in presence of the non-Aryan? Mr. Frazer shows how in royal families in Latium and in Greece the daughters were kept at home, and the sons went forth to marry princesses and reign among their wives’ peoples; he says that "among the Saxons and their near kinsmen the Varini it appears to have been a regular custom for the new king to marry his stepmother." And further: "Attic usage always allowed a man to marry his half-sister by the same father, but not his half-sister by the same mother. Such a rule seems clearly to be a relic of a tune when kingship was counted only through women." He instances also the great house of Aeacus in Greece, the grandfather of Achilles and Ajax, and the family of the Pelopidae. The relation of mother to child is of the first importance, and cults and customs ought not to be read without keeping it in view. After all, as Professor Gilbert Murray has pointed out fitly, the Matriarchate is one of the great civilising influences of mankind.